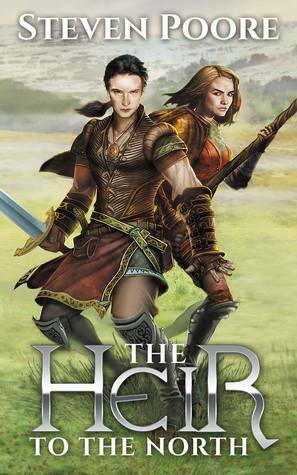 This was an epic fantasy novel that just made me feel all warm inside. It has all of the staple ingredients of the genre, there’s a curse, an heir, some warlocks and old stories. It also had all of my favourite things; a well built world, an underdog with untold potential, magic and a wee bit of seafaring. Cassia is a wonderful character to be narrating the story, she’s been dragged from town to town and neglected by her storyteller father all her life, treated as a nuisance and refused an apprenticeship because she’s ‘only a girl’. The ‘only a girl’ thing is a running theme throughout the book so I enjoyed the two fingers up to that sentiment when Cassia continues to exceed even her own expectations as the book goes on. I felt that this book was a bit of a slow starter and at 15 hours long, I was worried that I wasn’t going to find the momentum to finish the entire audio but I muddled on and finished the last 10 hours over the course of a few days. I think the issue was that the beginning was mostly introductions and world building, very little actually happened in the present to get your attention. Poore’s writing style is excellent and very measured, he’s built every detail of this world and its history and makes sure that you’re as familiar with it as he is, which I guess is what puts the ‘epic’ in ‘epic fantasy’. I don’t want to give away much of the plot because it had some really unexpected twists along the way, REALLY unexpected which had me gasping, like a muppet, while I had the audiobook on in the car. Diana Croft is an absolute genius of a narrator, she covers a huge array of British accents with spot on accuracy and manages to bring life to a pretty impressive array of characters, each one with their own accent and tone. I’ve heard her work before in the audio of Ashes by Philip Hemplow (haunted house horror, if you’re interested) and was impressed then, but this is in another league entirely with the sheer variety she needs to cover. If you’re a fan of epic fantasies, arthurian style legends and magic, I can’t recommend this highly enough. You should definitely opt for the audio version as well, Croft brings this story up to a whole new level for me and I’m sure she will for you too.